Six years ago in an article entitled "Neocons, Daniel Bell and Iran," I discussed in details a Daniel Bell's book of 1960 entitled <The End of Ideology> (1). Daniel Bell's book was about ending of ideologies like Nazism of WWII era in mid 1940's and the fall of Stalinism in mid 1950's, nonetheless we witnessed the rise of two powerful worldwide ideologies in the 60's namely Maoism and Feminism when the first one was even a state ideology in China, and Feminism was worldwide and is still alive and powerful to this day. Thus when including ideology with the separation of state and religion, we need to understand the kind of ideologies responsible for despotism. In fact, I have always considered Kantian comprehensive liberalism in the Western world as an ideology, and although it is older than the 19th Century ideologies of Marxism and Nazism, ushered in an open society in the West and not despotism. This is why I have argued in my works (2), against monistic ideologies like Marxism (3), rather than opposing all ideologies. What I call Futuristic Pluralism, dates back to Aristotle and his predecessors (4), and political pluralism is a subset of it. 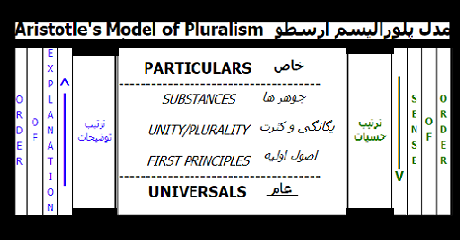 In other words, Futuristic Pluralism is a philosophical outlook that believes in multiplicity of truth, but contrary to Cultural Relativism and Post Modernism (5), it does not see all possible truths as equal, and following Occam's razor, when facing two or more competing theories, e.g. one believing that a woman can get pregnant by shaking hands with a man and the other being the chromosome theory in biology, it uses a method such as Karl Popper's falsification to sieve through possible truths, nonetheless, it always considers truth to be plural. If by ideology one means such a philosophical outlook as Futuristic Pluralism, even if upheld by a state, it will not end up in dictatorship, as we have witnessed for more than 200 years in the United States and Western Europe. Needless to note that the state cannot be a religious state because a religious state by its nature contradicts plurality of truth. In other words, we should emphasize our opposition to religious and monistic secular states while supporting states that are based on philosophical pluralism and its subset, the political pluralism.